Sometimes a little touch can have a big impact on your look. 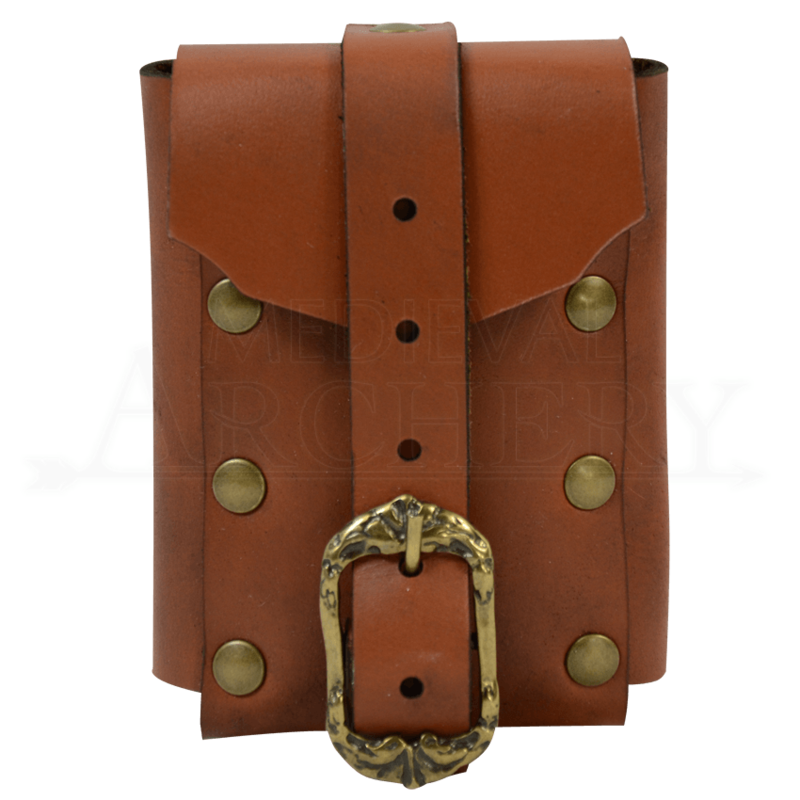 This Medium Gothic Leather Belt Pouch is one such little touch that allows you to easily carry along anything you like, just by sliding this pouch onto whatever belt you might be wearing. 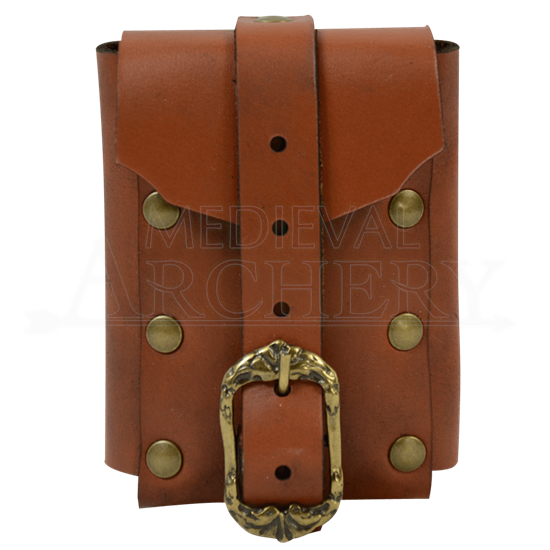 With its subtle lines, this belt pouch is perfect for nobles and peasants alike, and the added appeal of the gothic detailed buckle enhances its appeal even more. It is ideally sized for carrying all sorts of things ranging from costume accents to modern amenities. Attached on the back is a loop that can easily accommodate a 2-inch wide belt. Buckled closed and situated on your belt, this Medium Gothic Leather Belt Pouch is more than just a bit of extra carrying space. It is also a key element that enhances your personal style when you wear it!